Taymouth Marina is set on the site originally known as Croft na Caber and is now owned by local couple Eric and Naomi Strickland. Taymouth Marina has been carefully planned to build on the potential left in the wake of Croft na Caber. Set in the stunning surrounds of Highland Perthshire, on the shores of Loch Tay and providing some of the most spectacular views in Scotland, Taymouth Marina is here for you to bring the family for a holiday or even just escape from the hustle and bustle of city life for a few days. Perfect for families and ideal for romantic breaks in Perthshire. The newly built marina will be the hub of all activity on Loch Tay. Managed by Taymouth Marina Watersports, marina berths are available for hire, seasonally or for short stays, as well as boat launching on our recently extended and widened slipway and dry boat storage. The Taymouth Marina luxury holiday properties are newly refurbished with comfortable, modern furnishings, allowing you to relax after a day of exploring the nearby area. Comfy sofas, modern kitchen furnishings, balconies or patios, flat screen televisions and luxurious beds and baths allow you to settle in your own paradise overlooking paradise. Taymouth Marina currently has one and two bedroom apartments and a three bedroom cottage available for holiday letting. 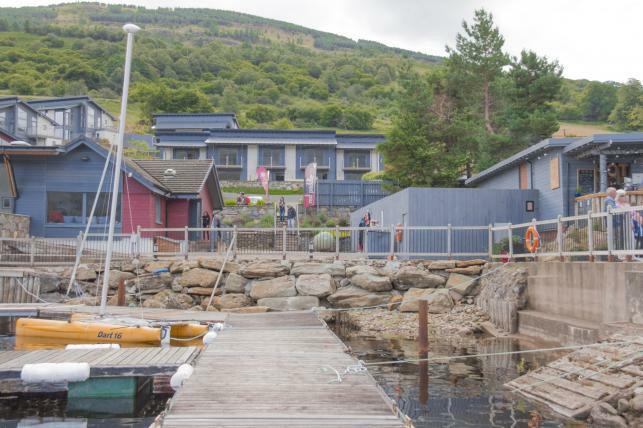 Last, but certainly not least of all, is the newly opened Taymouth Marina Restaurant. The lochside setting is amazing and, with a view from every table, to sit and have a meal and watch the ever-changing light and bobbing boats in the marina is an absolute joy. Concentrating on using the very best Scottish produce, dining at Taymouth Marina is a great way to indulge the senses. Taymouth Marina Watersports and Activity Centre also provide leisure activities and team building activities to meet almost any need. Whether you want to hire a mountain bike or a katakuna or even book a romantic sunset sail, the friendly and experienced team can assist you make your stay the most memorable. Bespoke activities are also available on request.